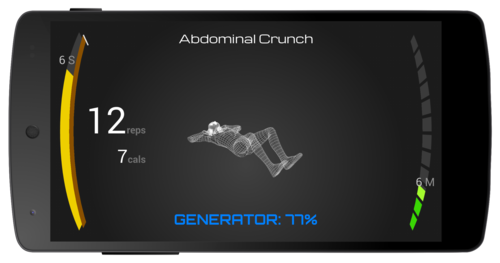 7 Minute Superhero Workout Now on Android – plus 40% off! – Zombies, Run! 7 Minute Superhero Workout Now on Android – plus 40% off! Our sister app, 7 Minute Superhero Workout, is out now on Android! (Yes, we have a new name, as well!). 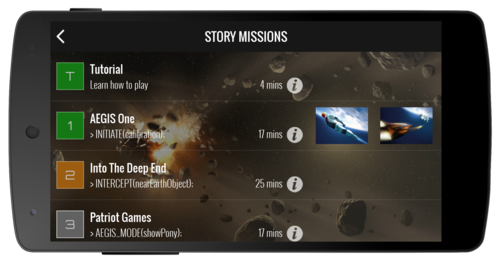 We’re really thrilled that we get to bring the adventures of AEGIS One to Android phones and tablets, and we think the app will give players a fantastic workout. We’ve also updated our iOS app to version 1.1, adding seven all-new challenges alongside our existing thrill-a-minute motion-tracking gameplay. And to celebrate the release, we’ve dropped the price to $2.99 on both platforms! There’s never been a better time to sign up with the ODC and join the fight to defend the Earth. We’ve added a new Challenge mode for iPhones and iPads that’ll push you to your limits: how many ski jumps can you complete in 100 seconds? How long can you maintain 25 pushups per minute? We’ve also introduced a Checkpoint system for both platforms, allowing you to split the longer missions into shorter 8-9 minute chunks so you can catch your breath or simply try out even more rapid workouts. Finally, on iOS you can now choose your own music to play during Workouts! You can grab Superhero Workout right now from the iTunes App Store and Google Play Store for $2.99! Find out more on our website and follow @superherogame on Twitter. Next Post Give the Gift (Certificate) of Zombies, Run!